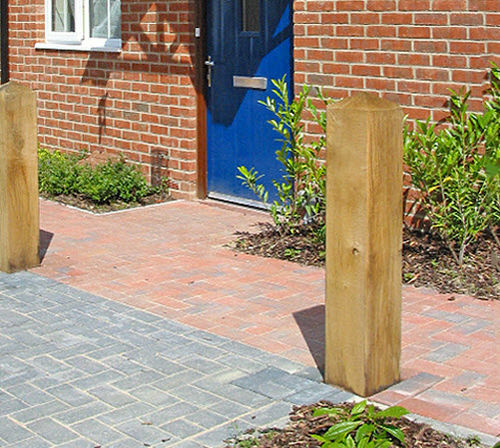 Garrick square bollards are a mid-range product in a choice of Green Oak or Pressure Treated Spruce / Whitewood in a planed finish. 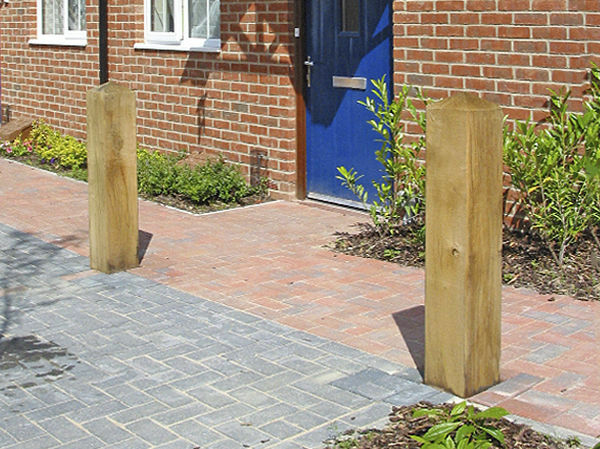 The four-way weathered top and chamfered edges differentiate Garrick bollards from the more economic Common range. 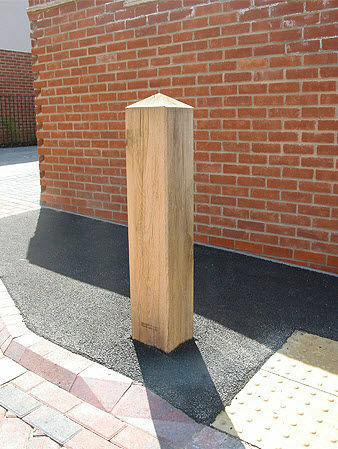 As with all other timber bollards, the Garrick is offered in plain form, with grooves and the option of reflective tape, and can be machined to accept steel rails or fitted with eyebolts for a chainlink connection.